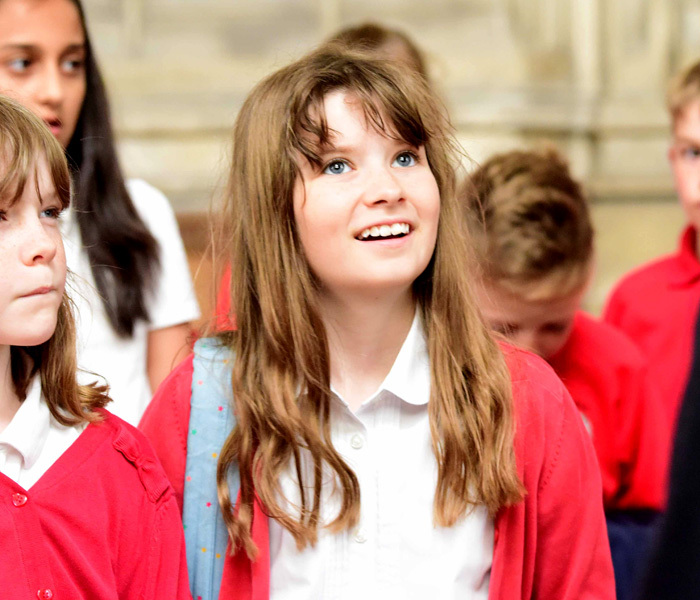 The cathedral offers three curriculum-linked packages for schools and colleges which can be delivered both inside the Minster and at our specialist Learning Centre, as well as the option to climb our Central Tower for unrivalled views of the city. Spend an hour with our specialist Learning Team at our Learning Centre, located in St William’s College, next to the cathedral’s East End. 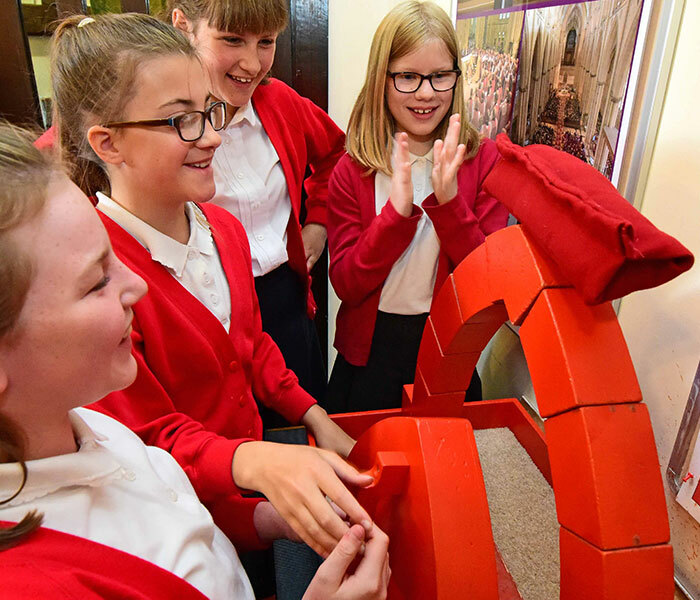 Many of the workshops involve lots of hands-on activities including visiting our working replica of a masons’ loft, trying on vestments discovering the stories behind the artefacts. The second hour is guided tour of the Minster. Sessions are suitable for EYFS, KS1-4 and sixth form and college students. Prices include VAT and apply to children in full time compulsory education. Shown pricing comes into effect on 28 April 2019 for all tours taken during the new academic year (2019/20) starting on 1 September. For a detailed breakdown of what each Learning Centre workshop offers by Key Stage, please download the PDF. An insightful tour of the Minster which can kindle a lifelong interest in this magnificent cathedral. Tours can be adapted by our Learning Team to the interests of the group. The tour does not include the Undercroft, Treasury, Crypt or the Central Tower. Cost: £4.50 per pupil. Accompanying adult with up to ten children goes free. £8.50 for each additional adult (excluding staff required for KS1/SEN). A copy of our treasure hunt trail is provided for each pupil. Climb the 275 steps to the top of the tower for unrivalled views of York. Groups of more than ten children (aged 16 and under) must be accompanied by at least three adults. The first three adults climb the tower for free, additional adults pay the standard rate. Groups of ten or less must be accompanied by at least two adults. Please note if anyone needs to be escorted down from the tower the whole group must come down. Please note: children must be aged eight or above and able to meet the health and safety requirements and our risk assessment. Trips are dependent on weather conditions. For more information contact our Bookings Team on t: 01904 557275, e: bookings@yorkminster.org or via our booking request form below. See a full copy of our bookings terms and conditions here. Pupils and students must be in full time education and aged 17 or under. For students aged 18 please see our Groups page. NB: We are only able to invoice York Minster account holders. Please specify if you’d like to set up an account (subject to credit checks). You can download a range of worksheets and resources via the boxes below. 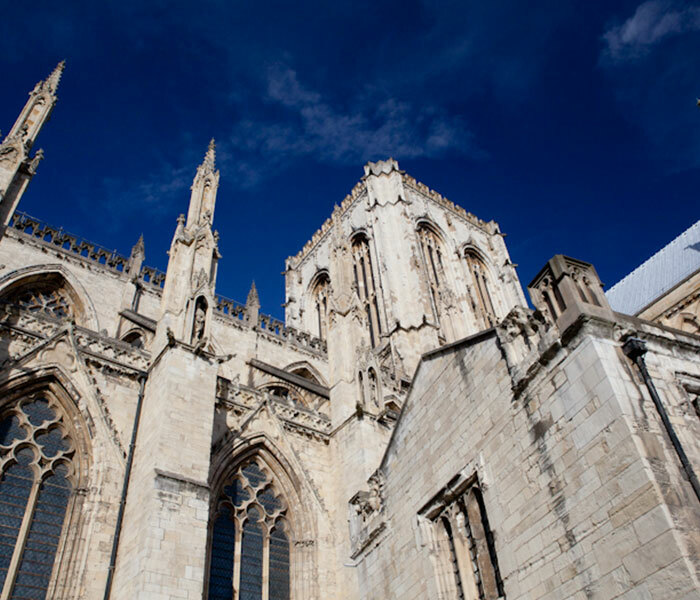 From the origins of York to the completion of the Minster, this fact sheet outlines the key moments in the Minster's history until its completion. Outlines the story of the Minster from its completion and comes right up to date with the recent restoration of the East Front. Discover how the Romans, Anglo Saxons and Vikings influenced the development of York and the Minster. Designed for teachers and students investigating the Minster as a medieval cathedral. Contains information and illustrations to make your own worksheets, or to use as a guide inside the Minster. 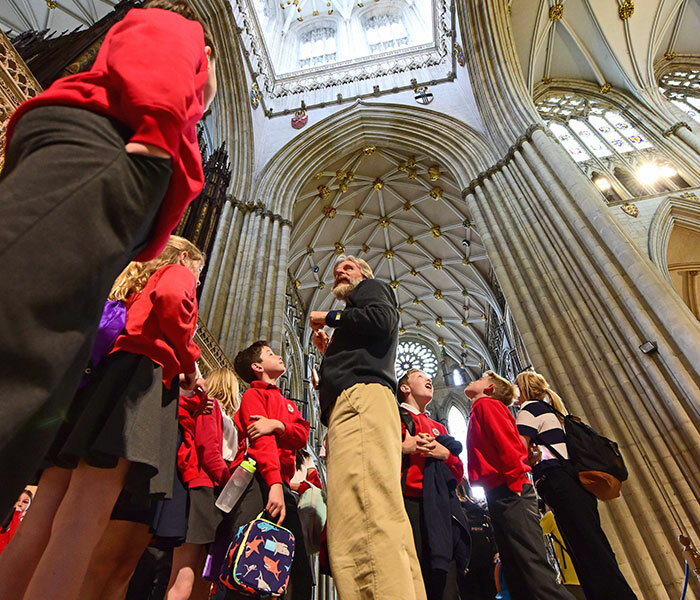 Designed for teachers and students investigating the Minster as a Christian place of worship.